Nicholas James Livingston was born on July 4, 1916 in Chicago, Illinois to James Nicholas Selevredes and Elsie Marie Eggerman Livingston. He was inducted into the United States Army Air Corps in 1942. After his military service he was employed by the Corpus Christi Army Depot and retired after 30 years. 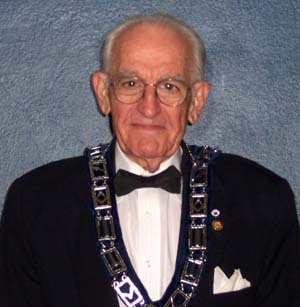 For more than fifty years, he was an active member for the Boy Scouts of America, The Oso Naval Lodge Order of DeMolay, the Masonic Order, Scottish Rite, York Rite and Shriners of North America. Nicholas received many other honors and recognition awards, such as the Legion of Honor from the Grand Chapter of DeMolays, Golden Trowel Award from two Mason Lodges, the Cross of Honor, the highest award that can be awarded to an adult leader and the Corpus Christi Greatest generation award, 2006. Mr. Livingston was also a member of the St. John Methodist Men’s Group and also active in local communities for the elderly. He was involved in many projects in his church (First Christian) and many other projects to mention. Nicholas J. Livingston took his Final Flight on 28 June 2011, at the age of 94 yrs. He is entombed at Seaside Memorial Park.